Cons: It would take a little getting used to shampoo in a bar form. He makes a great product tester, don’t you think?! He said he really liked the shampoo bar but found it awkward having two different bars of soap in the shower; one for the body and one for the hair. I explained to him that the shampoo bar makes a very nice body bar too, but he didn’t seem sold. So about a week later, he sends another email…this time he had an epiphany! Well, this was actually his second epiphany, but I won’t get into the first one (it involved renaming the shampoo bar ‘manpoo’) Anyways, my dad says he had this epiphany because he had the shampoo bar as well as another soap in the shower tray and they stuck together and….voila! 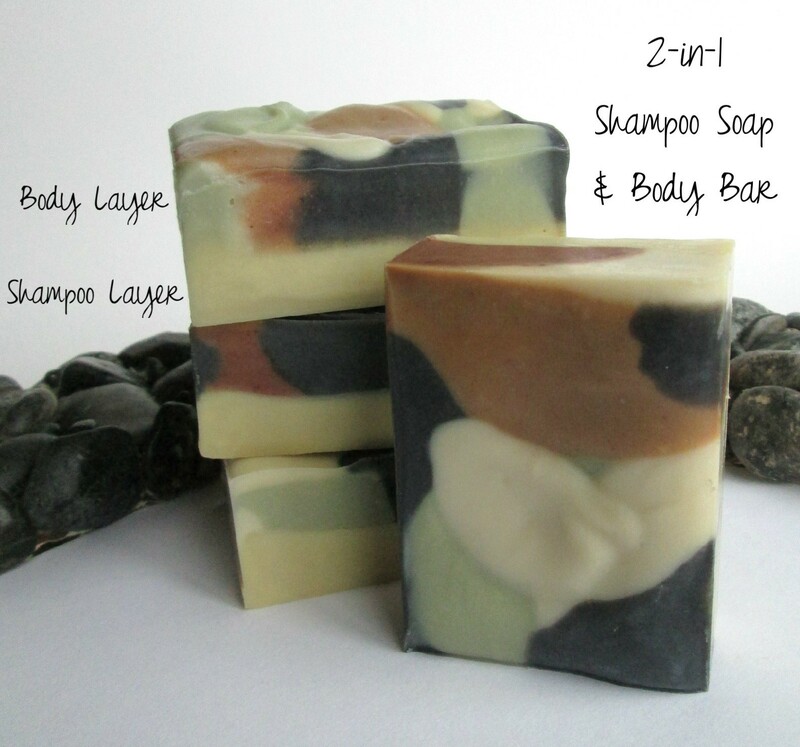 A 2-in-1 shampoo and body bar! He says it made more sense to him to have one side of the bar for the hair and the other side for the skin. I actually thought it was an interesting concept too and definitely worth exploring. 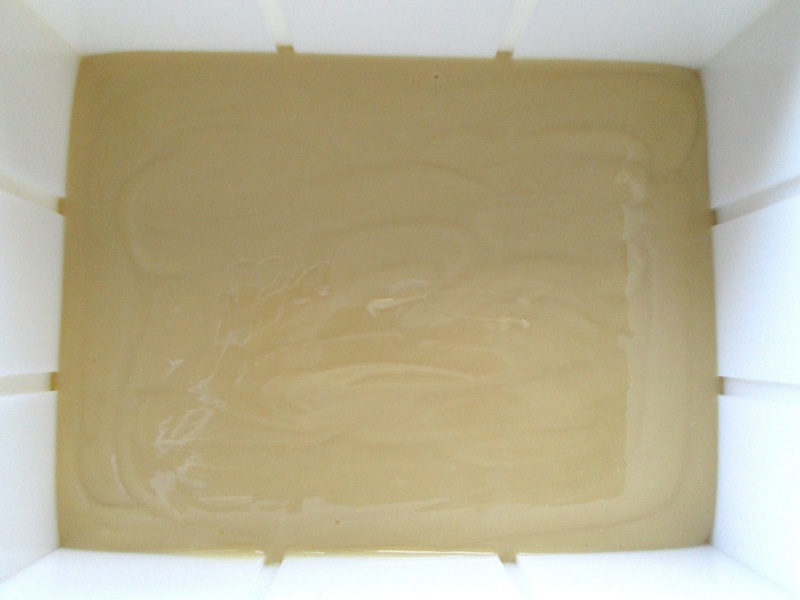 I prepared both bases simultaneously, because I didn’t want the shampoo layer to set up too quickly and not allow me push the dividers in; as it was, there was a little bit of resistance from the bottom layer when I pushed the dividers through both layers. 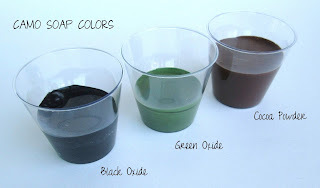 The shampoo soap was poured at a thicker trace (to support the camo layer) and the camo layer was brought to a medium trace, so the colors would blend but not lose their shape (I spooned in the colors). I added bentonite clay to both layers. 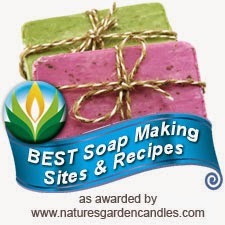 I think this would make a nice Father's Day gift, but would also be really cute in a pink camo soap for girls too! On a side note, I used turbinado (raw) sugar instead of refined sugar in the lye water for the shampoo layer and it worked just fine; however, I only used 1 tsp b/c the raw sugar did change the color of the lye water. Thanks for the cool idea Dad! You have just invented a new product,Cee! Or,your father has! Such a cool idea,I'm sure others will love it,too! So fun! Gongrats for your multi-task job,you did it marvelously! Thanks Maja...I thought that was pretty clever of my dad, maybe he should come out of retirement to make soap..lol?! Great idea! Love the color combi! Very creative! 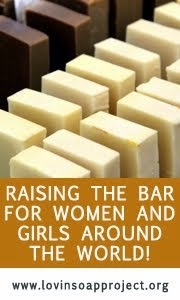 I love the idea of a two-in-one bar...maybe when I find my "perfect" shampoo recipe, I'll have to give this a try! And I totally LOLed at his idea for "manpoo!" Men do THAT anyway, hahahaha! Aw, man! He's going to be crushed he didn't think of that name first...lol! Your dad is hilarious, is he an engineer by trade? His email just sounds so technically sound. :) I love your 2-in-1 bar idea, and if hubby still had hair, I'd buy him one. No he's not an engineer, but he totally should have been..ha ha! And yeah, I wasn't going to touch that name with a 10-foot pole! Manpoo, lol! Your dad sounds awesome. 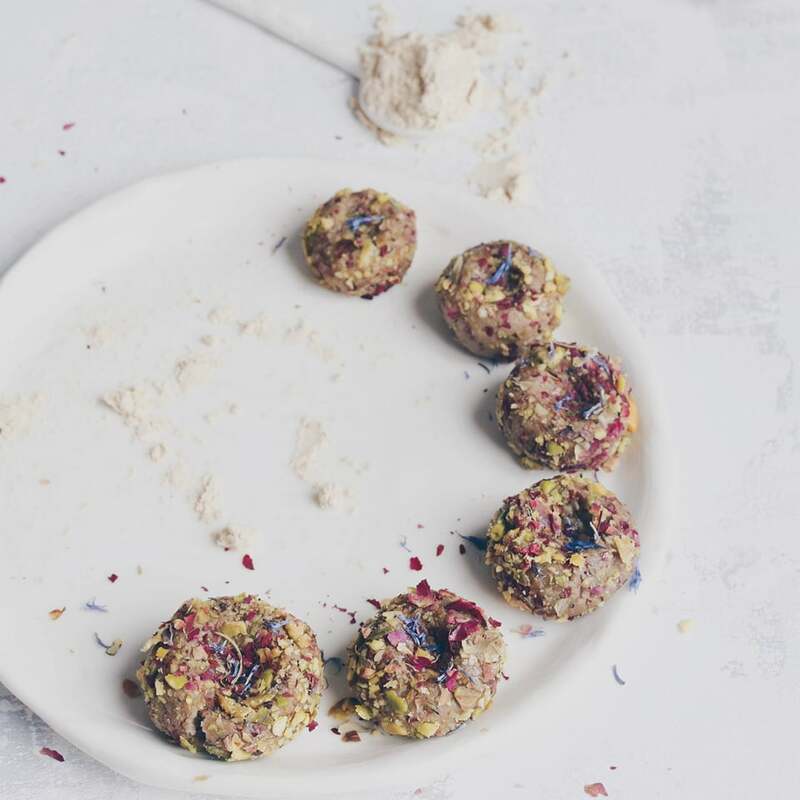 What a neat idea to combine a shampoo and body bar! The camo looks great! What a fun post! :) The 2-in-1 bar idea is a great one and your first go came out beautifully! Thanks DH, I was lucky this time...my first attempts lately haven't been so great! It was so official...you would think he did this for a living..lol! This is grate and approves that the most valuable and honest feedback is received from family members! My son and dad are always ready to provide it :) The idea is really original and design is so unique! 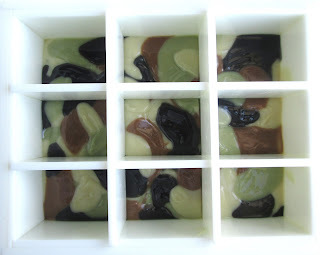 Such a marvelous idea to combine shampoo and body bar in a soap! It's great to have someone in your family to test for you and to give you a sincere opinion! Well, my dad says you just can't go wrong with camo soap or manpoo, and when you combine them the skies the limit... and that's a direct quote from the man himself lol! Thanks Gordana and Natalia, it is very helpful to have that honest feedback from family, we are very lucky indeed!